First impressions are important and your smile leaves a lasting one. 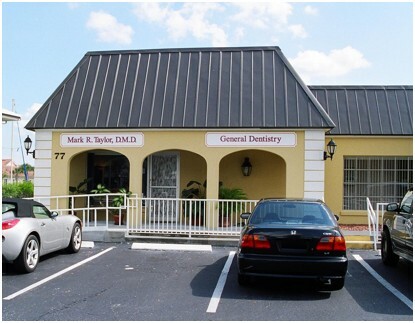 Dr. Taylor is a general dentist who has been creating beautiful smiles in Vero Beach for over twenty years. More importantly, wonderful working relationships have been created. If you have asked around about a dentist and have heard Dr. Taylor's name, chances are you've heard him described as being "gentle", "thorough", "a perfectionist", "an artist", and "easy to understand'. His talent for art can be seen throughout the office. From watercolors to pottery, to photo albums of before and after smile makeovers; it's easy to understand why cosmetic dentistry is his forté. Feel free to contact our office and ask us any questions you may have. We look forward to meeting you.